Now that the federal stimulus bill is signed into law and the money is being offered to states, our administration is analyzing the various funding streams to determine how Alaskans can benefit without creating new or expanded programs that eventually we can’t pay for. Suddenly, though, Sen. Mark Begich has raised the specter that I would reject all of the stimulus money and hurt Alaskans in the process. Alaskans should rest assured that where the stimulus money will help our private sector economy and provide a genuine safety net for individuals, we won’t hesitate adding it to a fiscally sustainable spending plan. I must also set the record straight on Sen. Begich’s false claim that he has not been informed about my stance on this bill. I wrote to our congressional delegation twice on this subject, the first time solo on Jan. 7, and later joined by House Speaker Mike Chenault and Senate President Gary Stevens. My D.C. staff was in frequent communication with the senator’s staff, including face-to-face meetings and written communications. Furthermore, Sen. Begich did not solicit our comments about the final package, and some of the changes he helped broker actually reduced federal spending in areas where we would have preferred increases — for example, a $70 million reduction in highway funds. Alaskans expect the delegation and the administration to work together. Ever get the feeling you’ll see Unicorns running across your lawn before you see liberal rags put stories that make their darling Democrat buddies look bad in big bold headlines? Yes, that’s right. 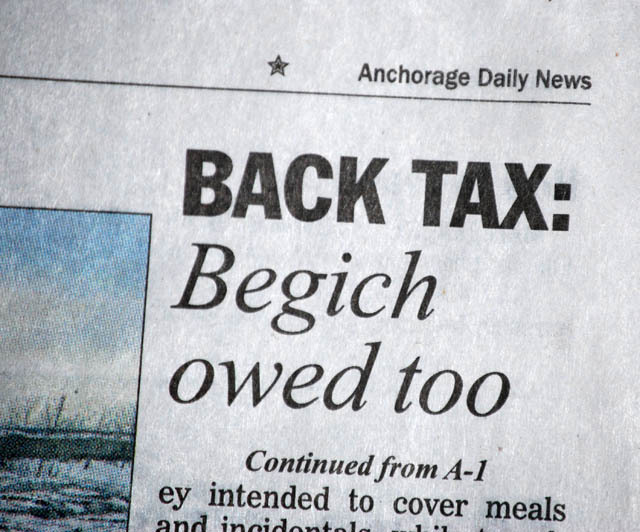 Sen. Begich owes too! Well, I should give them some credit for actually putting his name in large letters. But again, why is this ‘news’? 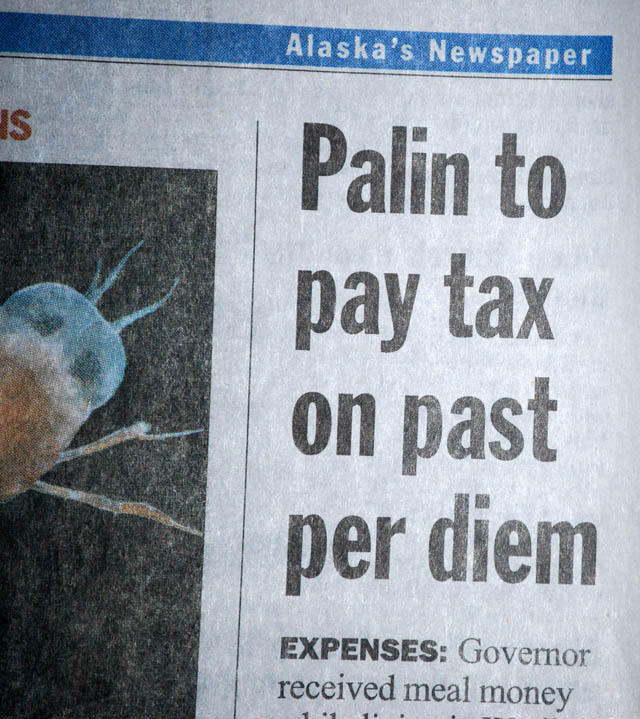 Is it just another headline to make Sarah Palin look bad? Or just another slow news day? Oh, and for those that are interested, I get to have breakfast with Sarah next month.